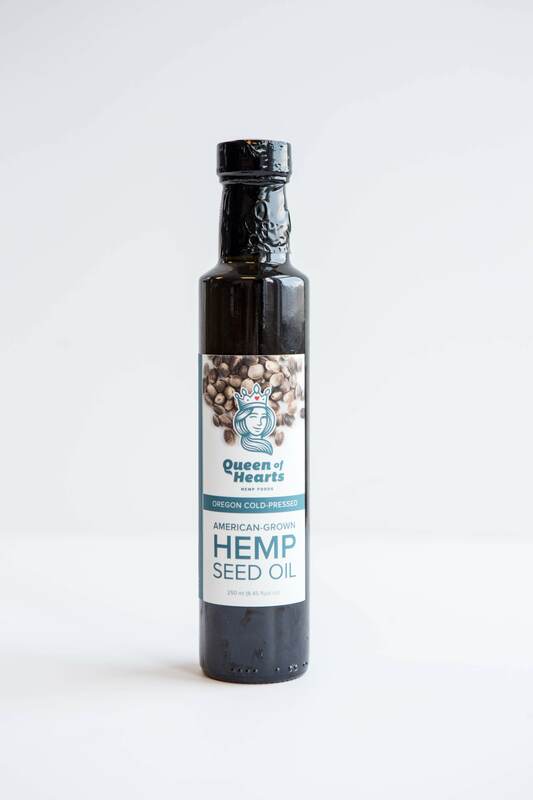 Hemp Seed Oil, 250ml (by Queen of Hearts Hemp Foods) – Cascadia Hemp Co. 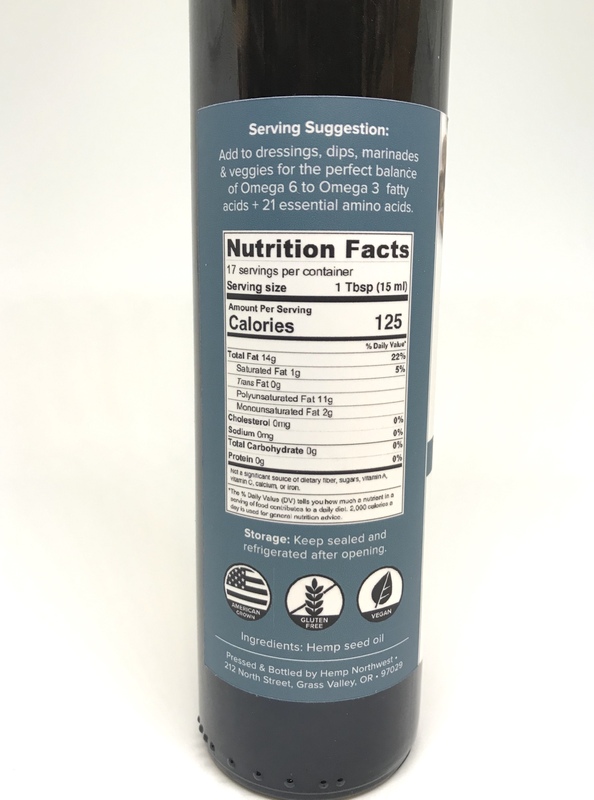 This hemp seed oil is cold-pressed in Hood River, OR from American-grown hemp seed and has a nutty taste similar to sunflower that goes great on salads, in smoothies, or as a daily supplement. 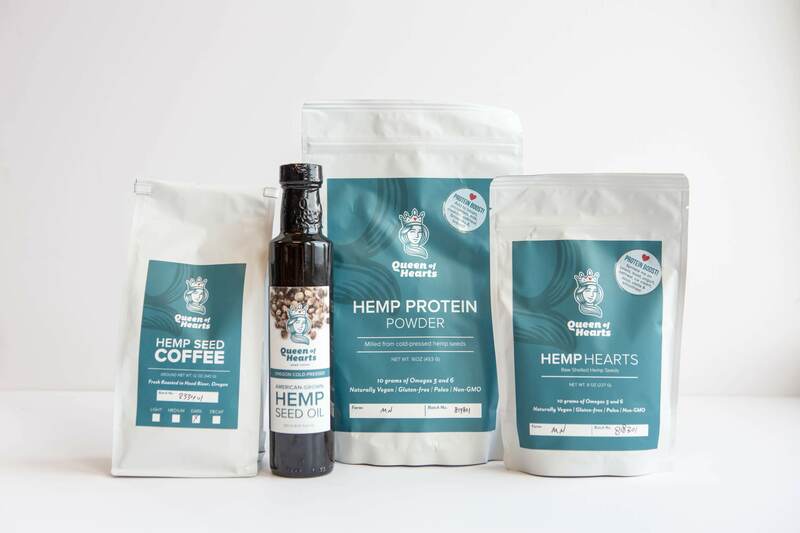 Hemp seed oil is very nutritious and contains high amounts of Omega-6 and Omega-3 fatty acids in a balanced 3:1 ratio that fights inflammation and promotes brain function in people, pets, and even horses. Because hemp seed oil is delicate, it should not be used for cooking or be heated in any way and should be kept in a cool, dark place. Refrigerate after opening to preserve freshness.